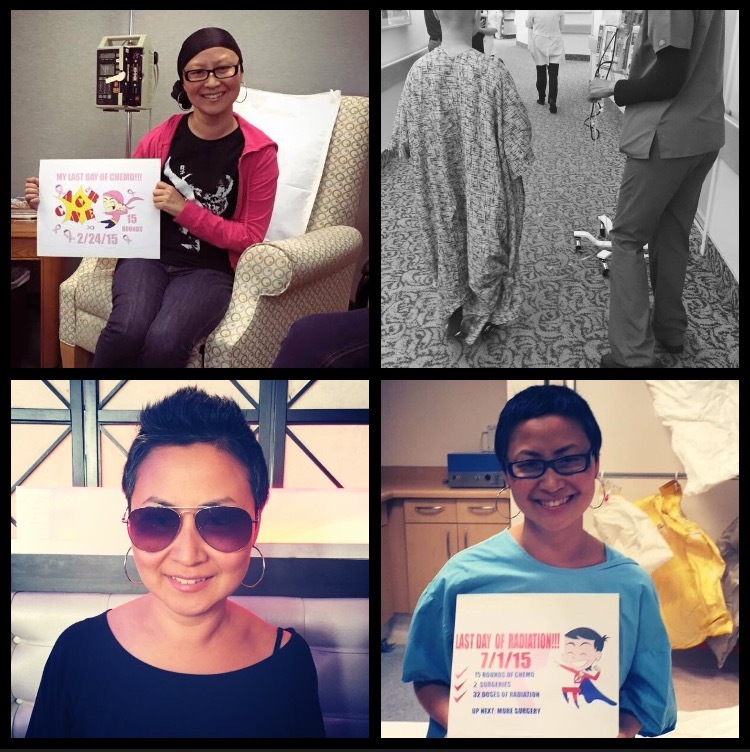 Designer Rachel Park in various stages of her cancer treatment. As someone who constantly feels an undercurrent of surprise at the little reminders of her advancing age — that ache in my hip after a day of sightseeing, my inability to just plop down and fall asleep anywhere, the selfie that casts a cold, unflinching eye on every line — I still feel jarred when friends and family achieve life milestones I normally associate with middle age, whether it be new parenthood or career promotions with important sounding titles (how many SVP positions are there?). But the biggest reality check, by far, are the health issues. Surgery? Heart attacks? Cancer? Those are old people problems. Oh, right — those are now our problems. As the former editor of Audrey Magazine, I’ve known designer Rachel Park for years. Of course, as these things go, we’ve communicated but have never met. She even sent my husband a gorgeous bow tie a few years back, one he wore to Audrey‘s fashion show in 2012. But just recently, Rachel contacted me again to let me know that a year ago (around the same time I was in a car accident that shattered my wrist and left my ulnar nerve severely damaged), she found a lump in her breast and was diagnosed with breast cancer, just after her 40th birthday. Since then, she’s had 15 rounds of chemotherapy, two surgeries and 32 radiation treatments. She still has one surgery to go, but today, she is officially cancer-free. Says Rachel, “Cancer took many things from me, but I wouldn’t let it take my style.” Now that’s a woman after my own heart. Read more about Rachel’s experience here.